Some U.S. lawmakers are calling on Facebook CEO Mark Zuckerberg to testify. British members of Parliament are summoning Zuckerberg too. Frustration is brewing within Facebook. But for now Zuckerberg is remaining silent about the uproar. Investors are taking the matter seriously. Facebook stock closed down 2.5% on Tuesday after falling as much as 6% in intraday trading. Tens of billions of dollars have been wiped off Facebook's market value this week. The scandal erupted over the weekend when The New York Times and UK media reported that Cambridge Analytica tried to influence American voters using information improperly gleaned from 50 million Facebook users. Facebook suspended Cambridge Analytica, but the ensuing controversy has seriously hurt the brands of both companies. There's even a swell of search interest in "how to delete your Facebook account," although experts doubt Facebook will actually lose many users as a result. In the wake of the damning stories, there may be multiple government investigations into Facebook's privacy practices. A source confirmed to CNN that the US Federal Trade Commission is sending a letter to Facebook with questions about what went wrong in this case. The FTC declined to confirm an investigation is underway, but said it is "aware" of the issues that have been raised. Facebook responded by saying, "We remain strongly committed to protecting people's information. We appreciate the opportunity to answer questions the FTC may have." Lawmakers are also asking questions. On Capitol Hill on Tuesday, Senate Judiciary Chairman Chuck Grassley called the Facebook breach a "serious issue." And Dianne Feinstein, the ranking Democrat on the committee, warned that if Facebook won't police themselves, "we will." Later in the day, a Facebook spokesman said the company will brief multiple congressional committees this week. The company also held a staff meeting on Tuesday to address questions about the Cambridge Analytica scandal and the company's policies on data protection, two sources with knowledge of the matter told CNN. 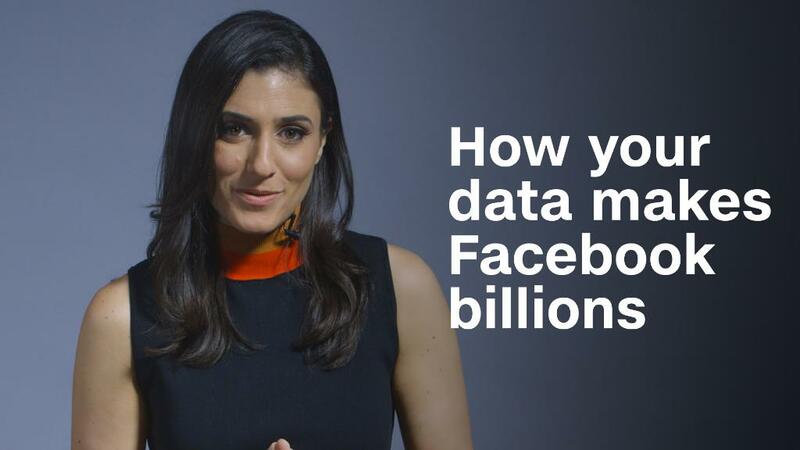 The questions of data privacy thrown up by the scandal strike at the heart of Facebook's business, which relies on more than 1.4 billion users engaging with the platform each day. Cambridge Analytica is also coming under government and public pressure. The London-based data analysis firm worked on President Donald Trump's campaign. Cambridge Analytica says it deleted all the data in 2015 when it learned that Facebook rules had been broken. But a former contractor, Christopher Wylie, disputes that. The company has agreed to an inspection by Facebook-hired auditors, Facebook said Monday. Meanwhile, UK data protection officials are seeking a warrant to enter Cambridge Analytica's offices in London to inspect its servers and systems. They are also examining Facebook's response to the unauthorized use of its data. An undercover TV report turned up the heat even more on Monday. It suggested that Cambridge Analytica was prepared to consider using bribes and entrapment to create videos for clients it could then post to the internet to sway voters. Cambridge Analytica said it does not engage in bribery or entrapment and said the Channel 4 News report was a misrepresentation of how the company conducts its business. But on Tuesday afternoon, the company's CEO Alexander Nix was suspended, just as another report was starting to air on Channel 4 about the firm's work in the United States. "Mr. Nix's recent comments secretly recorded by Channel 4 and other allegations do not represent the values or operations of the firm and his suspension reflects the seriousness with which we view this violation," the company said. The European Union parliament has also said it will investigate Cambridge Analytica and Facebook. "Only dictatorships impede social networks or block them, but a democracy must provide social networks with rules that prevent them from using citizens' private data against their will," said European Parliament President Antonio Tajani. "This is why we ... have to be very strict, understand what happened, how a company that works with Facebook has used personal information for private interests, then we need to intervene. We need rules for this." -- CNN's Dylan Byers, Sherisse Pham, Nelli Black, Carol Jordan, Lindsay Isaac, Simon Cullen and Nada Bashir contributed to this article.